Mark Bell was born and raised in Blanco before beginning a career in pharmacy in 1892. He became a mason in Gray Lodge 329 of Houston on November 19, 1893 and affiliated with Waco 92 when he moved to town in that same year. When he ascended to the East in 1900, Waco 92, like all of American masonry, was in the midst of something of a dry spell marked by a decrease in membership and lull in activity. Bell’s well-known energy proved especially useful during those trying times and he was among the core group of Brothers that guided Waco 92 out of that darkness and into its brightest era from 1919-1950. Also during his year in the East, Galveston was hit by the infamous hurricane which devastated its community. It is a small but impressive gesture of charity we find in our minutes: in response to a request from the Grand Master of Texas, the hat was passed and thirty dollars was immediately raised and donated to relief efforts. Bell’s year was also singular in that the Baylor legend Brother Rufus C. Burleson, Chaplain of Waco 92 for some 30+ years, attended a lodge meeting and gave a speech dedicated to Masonic duty, in which he begged for increased attendance and activity. He would die just a few months later. As a businessman, Bell owned the Cotton Palace Drug Store on Austin Avenue and later the Artesia Cream Company, a successful cosmetic manufacturer. He turned the Artesia Cream Company location into Waco’s first automobile dealership and in 1904, he became the first to sell a car in Waco when he sold a Wayne to Frank Kirksey. Mrs. Bell was the first lady driver in Waco with her 1909 Franklin. Bell’s reputation as an expert in automobiles led to him being one of the judges of an annual car show and parade that was attached with the Cotton Palace celebration. He was also the president of the Waco Electric Supply company for some time and part owner of Majestic Cleaners in the 1930s. At the time of his death, Bell was the oldest living past master of Waco 92. Bell attended a 1904 York Rite school of instruction on behalf of Waco Chapter 45 in Galveston. He served as the treasurer of Waco Commandery No. 10 during the 1930s and was a past Potentate of Karem Shrine,of which he was also a charter member. 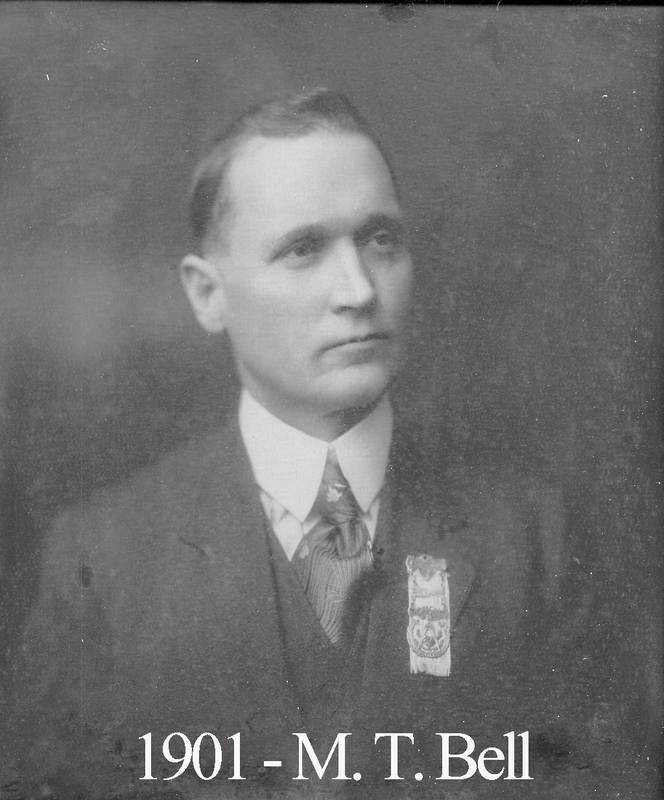 At 92’s 1918 installation of officers, Bell was among the past masters honored by Alva Bryan who presented all of them with impressive PM jewels. Bell was a 50+ year members of 92, the Scottish Rite, the York Rite, and the Karem Shrine where he ran the automobile unit for many years. He was also the first Past Patron of Waco’s Eastern Star chapter and later the Grand Patron of Eastern Star for the entire state.